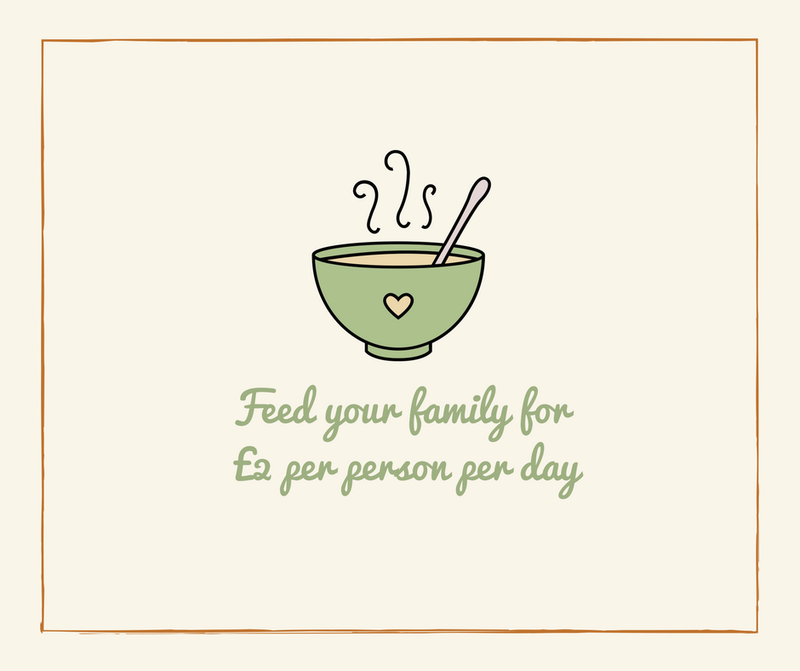 Voucherbox are challenging bloggers to feed their family for £2 per person for the full day. When I initially heard this, I wondered whether it was possible but definitely wanted to give it a try. For each post published about the £2 Challenge, Voucherbox will donate £50 to Zamcog to help the charity continue their goal of supporting Zambia’s most at-risk children through food and education. It costs £2 to feed, educate and clothe a child in Zambia every day, that is it, a measly £2, about the same as most people pay for a coffee on the way to work, the same that it costs for 2 of the chocolate twist pastries that Lucas has already got a taste for. I’m always surprised at how well we can eat for so little a day. Just goes to show that we probably buy way more than we need. Well this amazing blog post puts what we spend on food in our household to shame! You did well. I took part in this challenge and I found it so hard. If you’d told me it were possible, I wouldn’t have believed you. But you proved me wrong! Good on you. Certainly food for thought, or less of it as the case may be. Such a great idea to raise awareness of a really worthy course – well done for managing. £2 really doesn’t sound like much but you’ve shown it can be done! I think everyone taking part in this test is amazing. We spend far too much on shopping. I think once you’ve got your cupboard stocked if you were cooking in bulk this challenge might be easier. What a great cause – hadn’t heard of it before. It’s amazing how little we HAVE to spend to eat well, but like you say, there are so many ‘treats’ out there these days that it’s so easy overspend and overbuy.